Like many chefs I know and many of my friends, I can never resist a Caesar Salad when I see it offered on a menu. And like many, it is a way I judge the establishment and the chef . . . how well is it executed, how close to the real salad have they stayed or have they decided to give this classic dish a twist of their own and maybe ruined what has got to be one of the most perfect dishes. I do the same thing with Eggs Benedict. The dishes are perfect in their simplicity. This salad was said to have been invented by restaurateur Caesar Cardin, an Italian immigrant who created it in 1924 at Caesar's Palace, Tijuana. I was told the recipe I have given here was written in consultation with Caesar's daughter Rosa. I am, I must admit, at a loss as to how I came to have a hand written copy in my files and who wrote it out for me. I know I got it in the USA many years ago but the from where and whom I cannot remember. But the notes tell me it is original and authentic. I am just sorry that at the time I was probably more excited about getting the recipe than recording the source, or maybe I have another sheet of paper with that on somewhere in my files and handwritten recipe books . . . yes there was life before computers! You will notice that this original recipe has no bacon and no anchovies, just the hint of anchovy flavour from the Worcestershire Sauce and that the lettuce must be Romaine (also known as Cos), given the dish's name that should be logical. 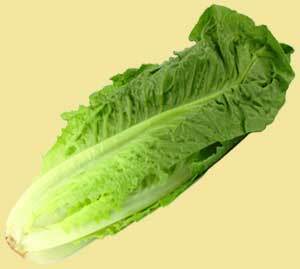 Romaine = Caesar = Roman = Italian! It also allows for the salad to be eaten traditionally, with the fingers! You may like bacon, you may prefer to add anchovies, so by all means add them but just remember it is no longer a Caesar Salad. Does it matter you ask? Think of it this way . . . these classical dishes were given names for a reason, one of them being that no matter where you go in the world you should always get the same dish or would you order a Caesar salad and be happy if the chef served you something more akin to a Waldorf salad? So with all this in mind, I do hope you will try the true Caesar salad and enjoy it as much as I do, share it and be sure to tell the tale, share the truths with your dinner guests. The croutons should be pre-cooked and then given a warming and flavoured with the garlic oil . The eggs should be coddled only - placed in cold water with a hint of vinegar brought to a gentle boil and simmered for 90 seconds only, cut in half straight away and used immediately. The eggs will only be partially cooked but by coddling them, it makes them safe to eat (as opposed to raw eggs in mayonnaise) but still allows for an emulsion to take place and the dressing to be creamy .